Kindergarten Worksheets Blog - Learn with worksheets! Purchasing our premium worksheet collections just became a little easier. 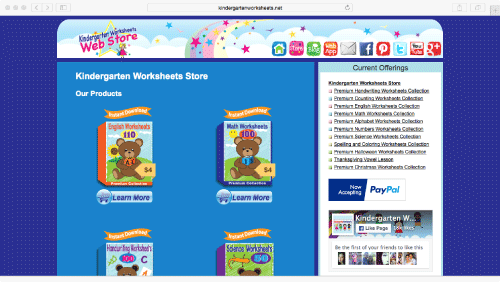 Our Kindergarten Worksheets Store is now accepting PayPal as a payment option! Premium handwriting, English, math, science, alphabet, counting, numbers, and spelling worksheet collections are all available to purchase immediately. We also have Halloween and Christmas packages that are popular in the fall. These paid collections help support the hundreds of free kindergarten worksheets on our website. They can be downloaded instantly after your purchase. The files are easy to use and print as they are all in the PDF file format. Our premium collections also include tips and information on printing the worksheets. When I was young, I used to enjoy making busses and cars out of milk cartons and fans out of papers and sticks. I remember feeling so proud of myself for creating something brand new. My parents always encouraged me to create things rather than to buy them. I was often disappointed because I always preferred store bought things since they always seemed to be better made than what I had created. Even though my milk carton busses always collapsed when I played with them, I have learned that doing crafts helped me develop my motor skills and imagination. It’s so easy to go to a store and buy a toy but creating something may provide additional values such as a sense of accomplishment and satisfaction. We have many coloring worksheets that can be used for various types of crafts. It would be a fun project to make a mask or a greeting card out of our free coloring worksheets. I read an article recently on effects of nutrition and mental health. Apparently, children with a balanced diet do much better in school than kids who do not get the right amount of nutrition. I would imagine there is more to it than only a balanced diet but it is food for thought. Proper nutrition can improve a child’s mental health. However, I believe that eating healthy food not only helps with doing well in school but it also builds healthy bodies and attitudes. 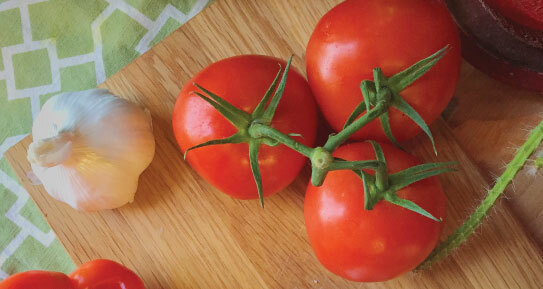 Eating healthy can be done by just adding fresh fruits and vegetables into the normal routine. For example, you can add banana slices on pancakes or have orange wedges instead of ice cream as a snack. We have free health worksheets that children can do in order to learn more about health.